With news reports focusing on the opioid crisis and new designer drugs, such as flakka and bath salts, one can easily forget that other hard drugs still lurk. 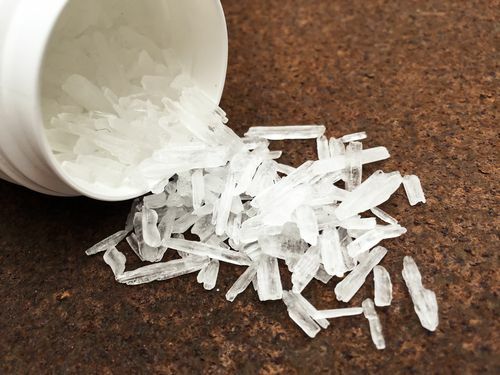 One of the most dangerous drugs available is crystal meth in Spokane, Washington. Crystal meth is a powerful derivative of methamphetamine drugs. These normally take the form of a pill or bitter tasting powder while crystal meth has the appearance of broken glass. Some may know of crystal meth from old news reports on its use and distribution by motorcycle gangs. Others may know it best from its prominence on the television show Breaking Bad. In any event, crystal meth still destroys lives and should be taken seriously as yet another threat to communities already impacted by other drugs. Meth has a 115-year history of straddling legitimate use and illicit abuse. 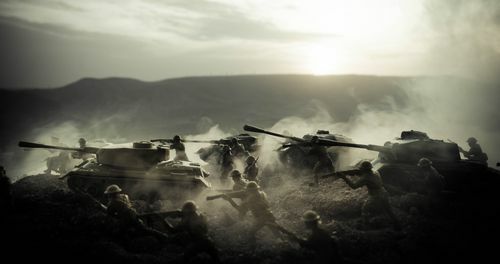 Pharmaceutical companies explored ways to use this stimulant to treat physical ailments and prevent narcolepsy while militaries promoted the use of related drugs to keep soldiers from experiencing fatigue on long campaigns. For 5,000 years, Chinese herbal medical experts used the ephedra plant to treat a wide range of conditions. Not until 1885, however, did a Japanese chemist named Nagai Nagayoshi isolate the active ingredient ephedrine. Eight years later, another Japanese chemist used ephedrine as a base to synthesize what now is called methamphetamine. In the decades before World War I, many stimulants now classified as dangerous and addictive drugs found their way into common usage. Sigmund Freud, for example, encouraged his patients to use cocaine as a medical treatment. Coca Cola initially hit the market as a cocaine-based headache cure. Methamphetamines were used in the same reckless fashion as weight loss agents as well as a treatment for narcolepsy, asthma, and other conditions. By the 1930s, pharmaceutical companies started to explore the possibilities from the stimulant. An American company started producing Benzadrine as a treatment for asthma and nasal congestion. It also produced a sense of euphoria and other side effects. Its stimulant effects inspired manufacturers to use it as a treatment for sleep disorders. The Allies, Germans, and Japanese all used some form of amphetamines to ward off fatigue during long campaigns. Also, the effects of the drug include a higher willingness to take risks and face danger. Kamikaze pilots especially received high doses of the drug to enhance their willingness to undertake suicide bombing missions. Japan also advised their use by home front industrial workers to enhance concentration and prevent sleepiness on the job. The German military distributed a cocktail of methamphetamines and cocaine to some of their frontline troops as well. Many German soldiers and airmen used a compound created by physiologist Otto Ranke in 1938 called Pervital, known in slang terms as “tank chocolate.” Soldiers and airmen used it to stay awake and use even filtered back to German university students. Use during wartime in the US, Germany, Japan, and elsewhere helped to create a culture where stimulant use became more common. Clearly, a large market for methamphetamine based stimulants existed and some organizations were prepared to step in to serve the demand with more powerful products. The Hells Angels and other motorcycle gangs on the West Coast learned how to “cook” crystal meth and saw it as a new and important source of income. Chapters of crystal meth making gangs helped to spread its use all over the country and linked it to their outlaw culture. Crystal meth helped gangsters remain awake for long rides and lowered the inhibition to violence during intergang battles. Part of the popularity of cooking crystal meth lies in the fact that the component substances have traditionally remained legal to buy and easy to acquire. Manufacturing of crystal meth changed during the 1980s and ’90s when manufacturers turned from ephedrine, which often had to be acquired commercially, to pseudoephedrine. Pseudoephedrine is the active ingredient in many cough and cold medicines, which became extremely inexpensive on the US market. Suddenly, convenience stores and pharmacies could not keep cold medicine on the shelves, resulting in most states placing limits on pseudoephedrine purchases. Cooking of crystal meth also exploded in the 1980s when a “how-to” book hit the market. A Wisconsin chemist named Steve Preisler, but nicknamed “Uncle Fester,” published Secrets of Methamphetamine Manufacture which immediately became a best-seller and remains a popular book to this day. The book taught aspiring drug makers how to use common products such as anti-freeze to isolate and remove the pseudoephedrine from the medicine to transform into crystal meth. During the administration of President George W. Bush, Congress tried to fight back. New laws required stricter accounting of ephedrine and pseudoephedrine. They also ended the legal use of ephedrine in weight loss. Although this made it tougher for crystal meth cooks to acquire the ingredients, such as cold medicine, the US Drug Enforcement Agency reported that it discovered 11,000 meth labs in 2010 alone. The new century also saw a shift in the nexus of meth manufacture. Major production moved from the United States to Mexico, where one could still acquire ephedrine legally and easily. At this point, the only barrier to Mexican meth manufacture lay in the porous nature of the long border between the United States and Mexico. While methamphetamine production and use has not dwindled, it has been typically overshadowed by opioids and other drugs under media scrutiny. Crystal meth does not fall under the category of opioids or opiates because it does not come from natural or synthesized opiate based products. Opioids and opiates, including heroin and prescription pain medications, are also strong depressants whereas crystal meth is a powerful stimulant. Some users will use crystal meth to mitigate some of the depressant effects of opioids or opiates and vice versa. Most often, however, the drug of choice tends to be what sells for least. As of now, opioids and heroin in many parts of the country sell more cheaply than crystal meth, but the drug market remains very fluid. Alone among most major drug manufacturing processes, the cooking of crystal meth can create serious environmental hazards. Cooking crystal meth requires the combination and use of highly combustible and also extremely toxic chemicals. The process itself can cause these to become unstable. It takes sophisticated scientific knowledge and precise attention to detail at each step. Most meth labs in the United States are homemade, jury-rigged setups run by people unaware of chemical safety protocols. All too often, the meth producers expose their own or other children to the toxins produced. Poisons from a meth lab can infuse themselves into carpeting, drywall, and other parts of a structure, rendering it unsafe for any use. In extreme occasions, the meth producer will inadvertently cause an explosion through improper use of the chemical ingredients. According to federal statistics, nationally the use of crystal meth and other related drugs may have fallen slightly. Emergency room visits related to crystal meth and related drugs fell from 125,000 in 2004 to just over 100,000 in 2012. Similar drops were seen in the percentage of people using the drug and seeking treatment for it. In 2005, over eight percent of people seeking treatment sought it for crystal meth and related drugs. By 2011, the figure dropped to just 5.6 percent. Regionally, however, many areas have a larger problem with crystal meth than others. The Western United States, Midwest, and Appalachian states remain strong markets for the drug. It ranked first in 2012 as the most prevalent problem for those seeking treatment in many areas such as Hawaii and San Diego. Denver and other major Western cities saw it ranked a close second or third. Clearly, crystal meth remains a powerful threat in the drug production and consumption world despite legal attempts to curtail its US manufacture and media attention to other drugs. Although only a few years ago statistics indicated that national abuse of crystal meth had declined, some recent indicators show that use in the Spokane area and in Washington state overall could be increasing. A University of Washington survey of 25 regional needle exchange programs indicated that 82 percent of needle users surveyed had used some sort of meth in the past three months. That number jumped from just under 70 percent only two years before. The study also indicated that many heroin users often paired use of that depressant with a stimulant such as crystal meth. Medical professionals also report a spike in crystal meth use in Spokane and the surrounding area. In 2017, federal, state, and local law enforcement launched a successful sting on crystal meth production and distribution in the Pacific Northwest. It was revealed that Spokane had emerged as a major hub for Mexican drug cartels moving their crystal meth product into the Pacific Northwest and Canada. This role as a regional distribution center could make it even more difficult for those trying to roll back crystal meth use in the Spokane area. 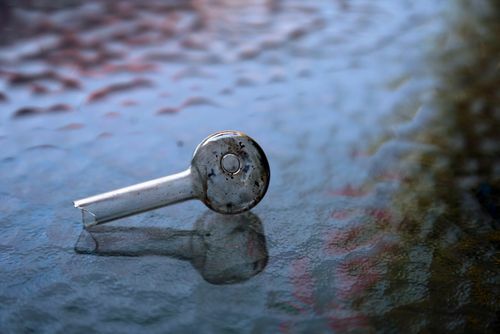 The most common way to ingest crystal meth is to smoke it in a pipe that users often call a “flute.” While this delivers the most powerful possible effects, it also exposes the user’s mouth to the drug. Often, the producers of crystal meth cannot remove the toxic impurities of the chemicals used in the process. This means that users expose sensitive parts of their mouth to highly toxic chemicals, typically causing the condition known as “meth mouth.” The chemicals corrode gums and teeth, leaving users with damaged mouths. Smoking also is the fastest way to get addicted to crystal meth. While no studies have concluded second-hand smoke from crystal meth is harmful, it can by itself cause a person to test positive for the drug. All methamphetamines work in the same way. They increase the natural levels of the pleasure and euphoria chemical called dopamine in the brain. The drug leads to rapid levels of dopamine saturation in the pleasure areas, which helps to create addiction. Methamphetamines also cause changes in the brain’s processing of dopamine, which can lead to loss of coordination, changed emotional responses, and loss of memory. Some of these functions may return to normal after prolonged abstinence from the drug. Those trying to stop using crystal meth or related drugs, especially after developing an addiction and using for long periods of time, should do so under a treatment plan and medical supervision. If you or a loved one need help breaking away from the chains of crystal meth or another powerful addiction, reach out to Riverside Recovery Center today. Our professional staff has experience treating a wide range of addictions, from hard drugs to gambling. You are not alone. We can help you or your loved one overcome addiction and enjoy a happier and more productive life.